After more than half a decade in the making, ARM server chips should have struck gold by now, but they haven't. ARM servers were projected to be approaching a double-digit server market share, but they still are virtually non-existent. Keeping market realities in mind, Qualcomm earlier this year said it would take a wait-and-watch approach before making a splash with its ARM server chips. While ARM servers adoption has been poor, Qualcomm decided to go ahead and launch the chips. In the making for two years, Qualcomm's Centriq 2400 server chips have 48 cores and are now being sent as samples to companies. Volume shipments of the chips will start in the second half next year. Centriq 2400 is perhaps the best ARM server chip yet and may provide a glimmer of hope for the architecture to succeed in servers. But based on the current progress of the ARM server market, Qualcomm could have a dud on its hand, much like its Mirasol e-reading screens, which were introduced with a lot of hype. With the Centriq 2400, "they go to the head of pack compared with other ARM competitors," said Nathan Brookwood, principal analyst at Insight 64. Qualcomm has the mammoth task ahead of convincing companies to switch over the hardware and software ecosystems from x86 to the ARM architecture. Moreover, the competition is fierce with market leaders Intel, AMD, IBM, and other ARM chip makers vying for market share. Intel, which rules the server chip market, is surely watching closely, and won't sit by quietly, Brookwood said. Intel may have a strategy planned to take on Qualcomm's chip if it does emerge as a threat. An Intel spokesman didn't comment on Qualcomm's chips. "We operate in a highly competitive market and take all competitors seriously," the spokesman said. "There has been a lot of hype about ARM in the datacenter, but very few deployments." ARM servers still are virtually nonexistent, and Qualcomm was waiting for a number of ARM server chipmakers to leave the market before launching Centriq. The company also waited for applications to emerge but is betting the server chips could be attractive to companies like Facebook, Google, and Amazon building mega data centers. No winning applications have emerged, but software support is growing via organizations like Linaro, which develops Linux-based software packages for ARM architecture. The LAMP stack (Linux, Apache, MySQL, PHP) is commonly used in the handful of ARM servers. Large cloud companies mostly control their software destiny because they have their own software stacks. If the Qualcomm server chip and custom software ecosystem can help companies lower operating expenses, it will be adopted, said Nathan Brookwood, principal analyst at Insight 64. In the past, low-power x86 and ARM chips have been tied to low-power cloud servers. But none of them worked out, and Intel's Xeon server chips -- which are consuming lower power and getting faster with each new generation -- still rule the market with a 90-plus percent market share. When ARM chips started emerging for cloud servers, Intel countered with low-power Atom server chips of its own, which halted ARM's momentum. After that, ARM server chipmakers started dropping like flies. First, it was Calxeda, the pioneering company that bought ARM chips to servers, which shut its doors. AMD, in one of its worst moves, abandoned x86 and bet its server future on ARM chips. But the company has now put ARM server chips on the backburner and will release the high-performance x86-based Zen server chips next year. Broadcom's future is uncertain, while Cavium recently started shipping server chips in volume. AppliedMicro is by far the most prolific ARM server chipmaker, but the company hasn't been successful in finding many customers. Without a doubt, Qualcomm's Centriq 2400 is the best ARM server chip because of its integrated chipset and advanced manufacturing. 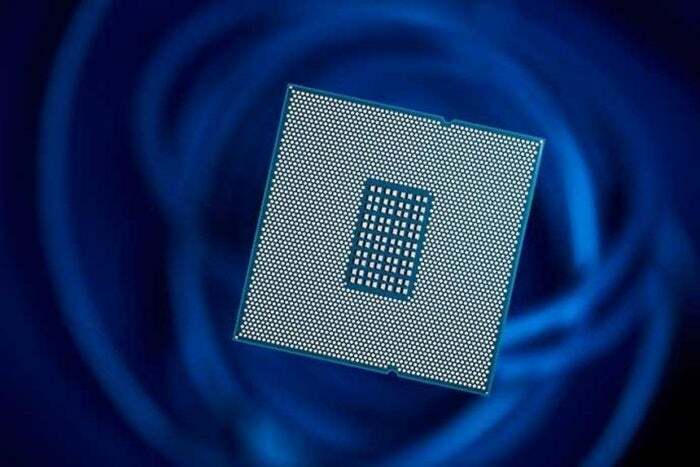 The chip is the first server processor made using the 10-nanometer manufacturing process, Anand Chandrasekher, senior vice president and general manager of Qualcomm Datacenter Technologies, said in a blog entry. Centriq is targeting competition on performance per watt, a metric that helps deliver more performance while consuming less power. The chip has a distinct advantage of having its storage and network interfaces integrated, for which Intel still needs an additional southbridge bus. But contrary to Qualcomm's claims, the 10-nm may not be an advantage over Intel's server chips made using 14-nanometers, analysts said. Chip manufacturing and transistor density are much more complex than looking at the nanometer count, and Intel's 14-nm process may be better than the 10-nm process of the foundry where Qualcomm will have Centriq chips made. Basically, chip manufacturers other than Intel haven't gotten full benefits of shrinking chip densities at each node. Foundries like Samsung -- where Qualcomm may have its Centriq chip made -- haven't seen true shrinks of chip size at each process node. Brookwood said Intel's 14-nm process is perhaps equal to or better than the 10-nm process of Samsung. When Intel starts making 10-nm server chips, which could be as early as next year, it'll again jump a generation ahead of Qualcomm's Centriq 2400. Realistically, the 16-nm process of TSMC (Taiwan Semiconductor Manufacturing Co.) and the 14-nm process of Samsung and GlobalFoundries were a bit better than Intel's most recent 22-nm, but not competitive with Intel's current 14-nanometer, said David Kanter, an analyst for Real World Technologies. "I expect the TSMC/Samsung at 10-nm to be similar or slightly better than Intel's 14-nm," Kanter said. "The right way to judge this is by looking at the transistor contacted gate pitch and the minimum metal pitch. That tells you how closely things are spaced." The true advantages of manufacturing also depend on lithography and other details, he said. While Qualcomm may not have a long-term manufacturing advantage over Intel, it'll be the better than other ARM server chips, which have had trouble reaching 14-nm, Brookwood said. Qualcomm has already gained a foothold in China for its server chips, partnering with Guizhou Province to form a US$280 million joint venture called Guizhou Huaxintong Semiconductor Technology, which will design and sell server chipsets. But Qualcomm hasn't talked about corporate customers yet, and sales will depend on the software stack that will work with its server chips. Also, more cloud installations are maneuvering to machine-learning technology to better analyze data, and it is designed around powerful chips like IBM's Power9 and Intel's Xeon combined with GPUs. However, it will become easier to attach GPUs to ARM-based server chips through emerging interconnects like Gen-Z, which is architecture agnostic.